Over the next several days the Municipality of Tweed will be under a heat warning, with temperatures expected to climb into the 30's and 40's with the humidex. 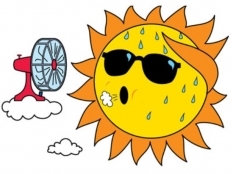 In response to these hot temperatures the Municipality will be opening the Council Chambers to the public this week from 8.30 a.m. - 4.30 p.m. as a cooling centre. Anyone who wishes to come in out of the heat to cool off is welcome to do so between these hours.